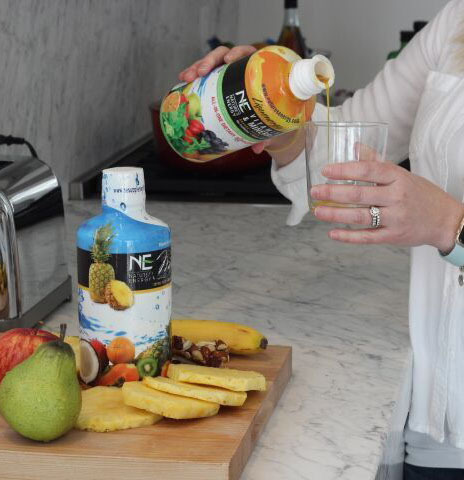 NE “Stay Young” is a complete, all-in-one liquid vitamin & mineral supplement with the refreshing taste of orange, peach, and mango. This great-tasting supplement gives you the natural, caffeine-free energy you need, combined with the vitamins required to keep your body at its best. Gluten Free. 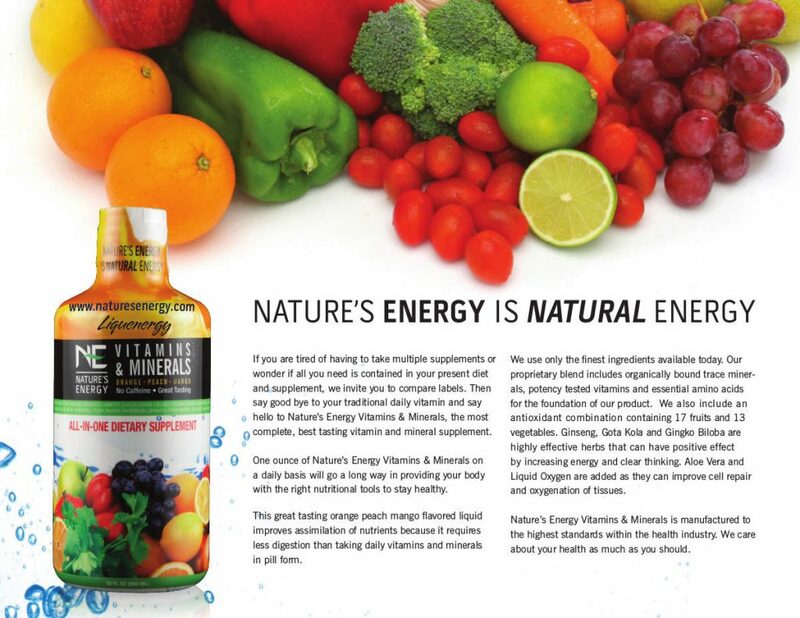 Nature’s Energy “Stay Young” provides a natural way to absorb the nutrients you need. This blend offers a rich mixture of vitamins and minerals that support proper health using Stay Young All-In-One liquid supplement. Most nutritional experts agree that the best and most effective way to get vitamins and minerals in is by eating a healthy diet of proteins, fruits and vegetables Here at Nature’s Energy, we kept that in mind when we made Stay Young liquid Vitamins and Minerals. The best vitamin and mineral supplements are made to be easily absorbed into the body and contain nutrients in forms your body can actually use. 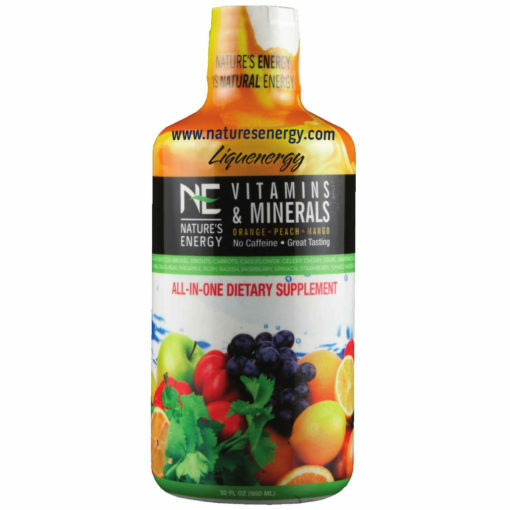 Nature’s Energy Stay Young liquid supplement contains 100% plant-sourced minerals and select natural ingredients that promote increased bio-availability and better overall effectiveness. Vitamin and mineral supplements are an effective way to help you make up for any nutritional gaps your diet. One of these gaps could be Vitamin B12, which has been shown to be essential in brain and nerve function. 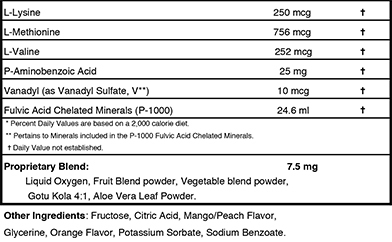 Make sure you are getting the RDA (recommended daily allowance) you need with Stay Young liquid Vitamins and Minerals. 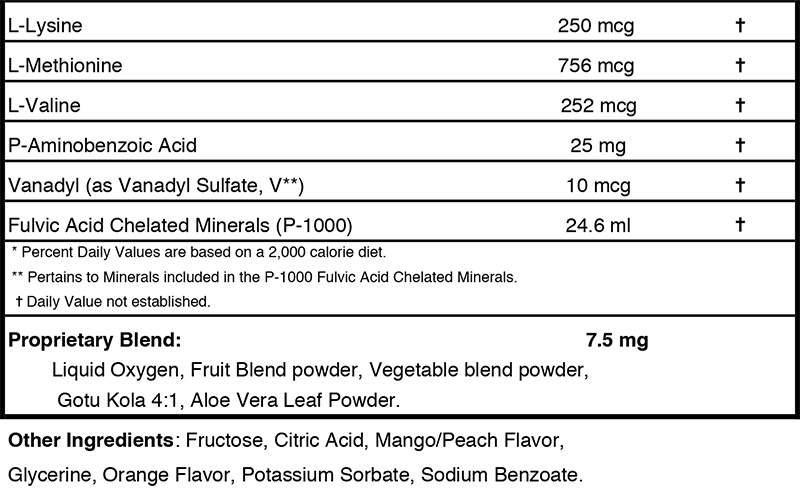 One ounce of Stay Young liquid vitamin-mineral supplement will provide a full spectrum of organically sourced minerals and select natural vitamins and micronutrients. Providing important reproduction nutrients, in a balanced liquid formulation, supports normal healthy development.